Attorneys for Skytag, Inc. have asked the 9th Circuit Court of Appeals for an “En Banc” rehearing of last month’s ruling by a three-judge panel that overturned a lower court decision invalidating L.A.’s ban on off-site and supergraphic signs. If granted, the appeal would be heard by 11 members of the 29-judge circuit. The original lawsuit challenging the city’s sign ordinance was filed by World Wide Rush, a Pennsylvania company that started wrapping buildings with the multi-story fabric and vinyl advertising signs in 2006 without getting any permits. 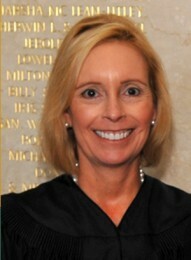 After U.S. District Judge Audrey Collins ruled in favor of the company in August, 2008, Skytag and a number of other sign companies filed similar lawsuits, and the Skytag suit was combined with the World Wide Rush suit after the city appealed the judge’s decision to the 9th Circuit. The petition argues that the three-judge panel’s decision is “directly at odds” with established Supreme Court and Ninth Circuit precedent because it would allow the city to circumvent the First Amendment prohibition on the “prior restraint” of speech through the provision in its sign ordinance granting exceptions for off-site and supergraphic signs in sign districts, specific plans, and development agreements. There is no time limit for granting or denying the petition for rehearing. If the petition is denied, the company’s only legal recourse is to seek review by the U.S. Supreme Court. See: World Wide Rush Ruling: Game Over For Rogue Sign Companies?